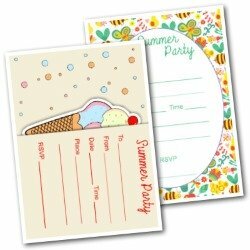 Yes, summer is here :) Time to find a beach party invitation and go feel the sand between your toes. 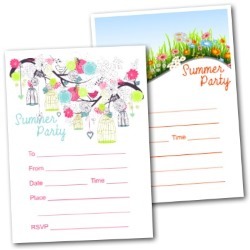 So why not check out these free printable invites as a way to tell your guests. 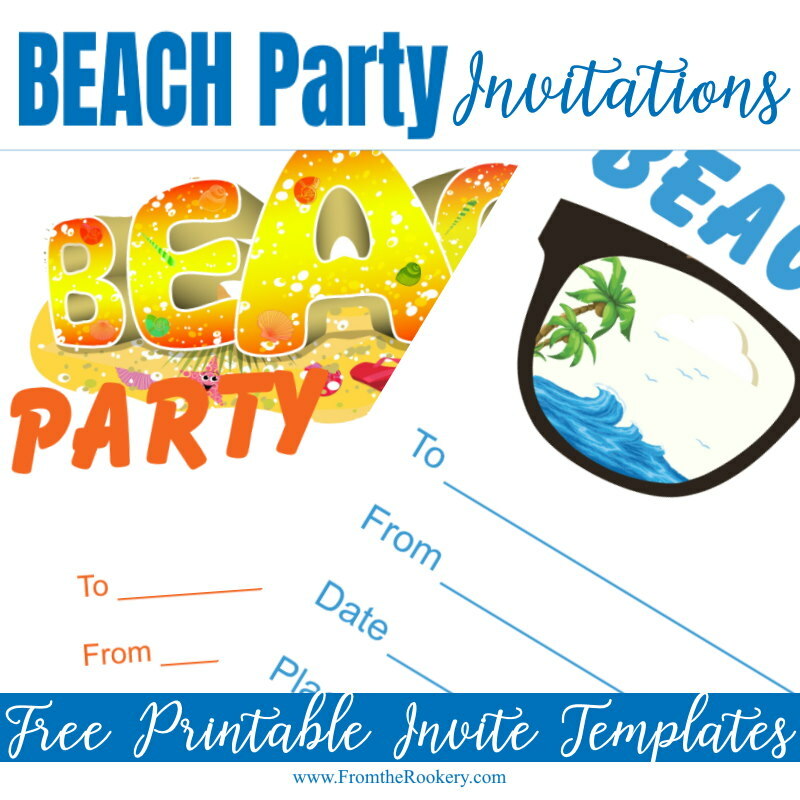 I was looking for some cute, printer friendly beach invites. 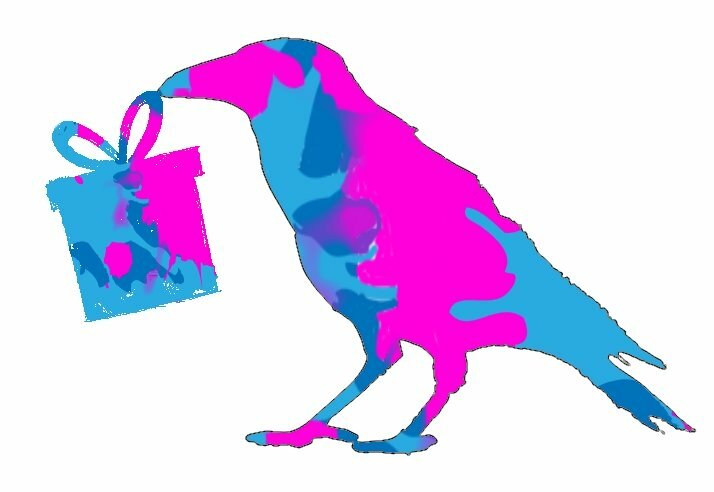 Then I thought I would design some. 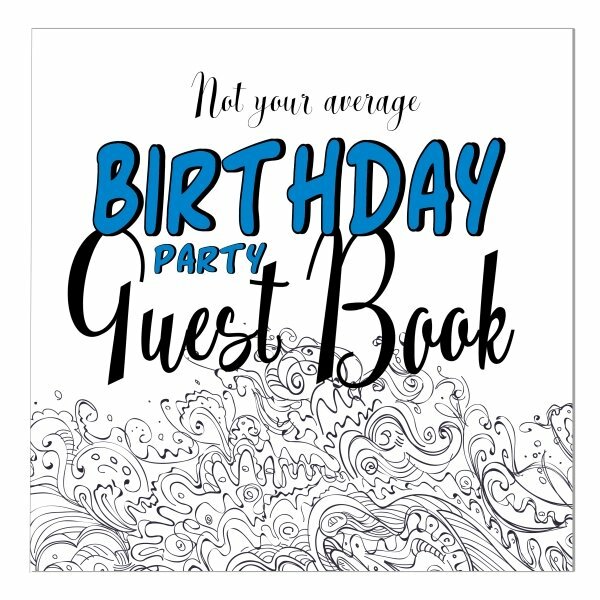 The invitations on this page are simple but striking. They print out easily - just choose which paper size you require. There is no need to sign up or anything - they are available without any catches! Very simple design to save ink! 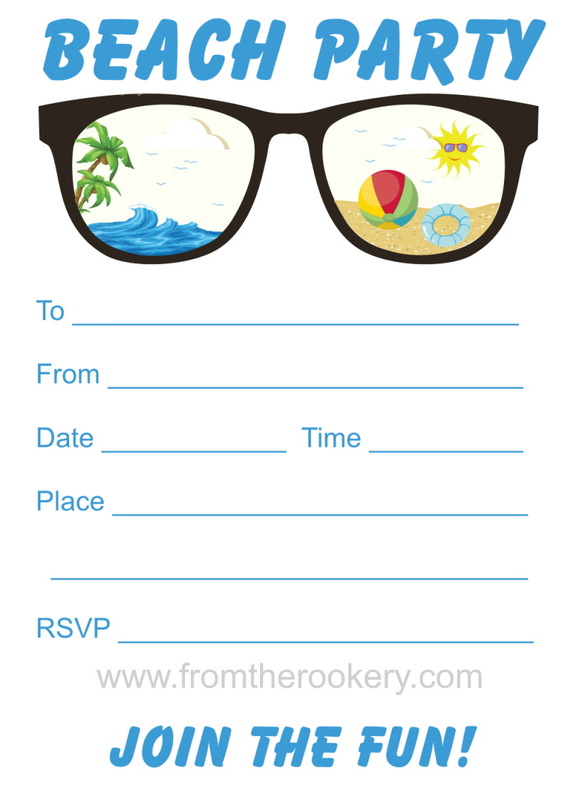 It features fun sunglasses showing beach scenes - perfect for all kinds of parties. Another simple printer friendly design. 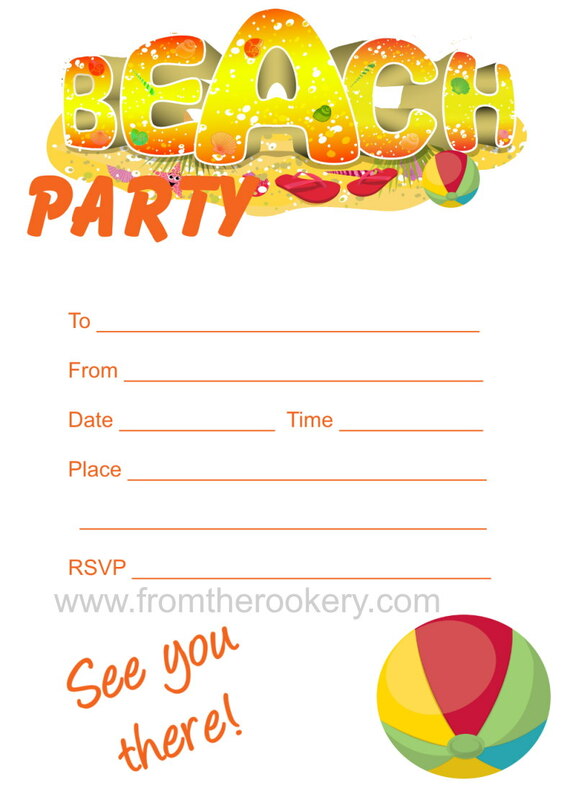 This one is in fun yellow and orange, complete with beach-ball! 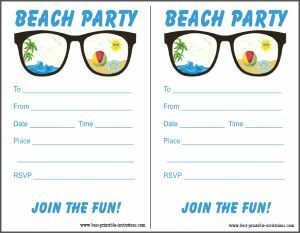 I hope you have a wonderful beach party. 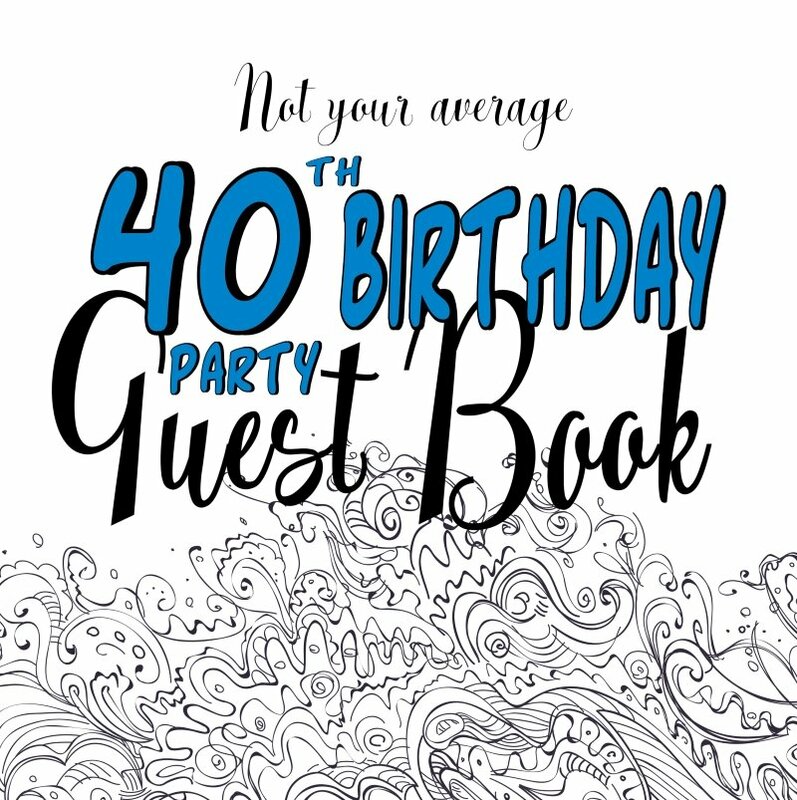 If you are interested in some ideas for your event, then do take a look at my Pinterest board. Packed with ideas for recipes, decoration and games. 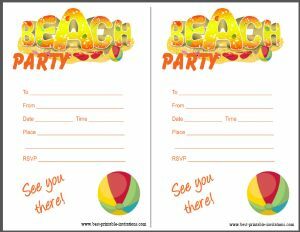 Follow Julie @ Best-Printable-Invitations.com's board Pool and Beach Party Ideas on Pinterest. Speaking of games! Sometimes just little things can make all the difference at the beach. 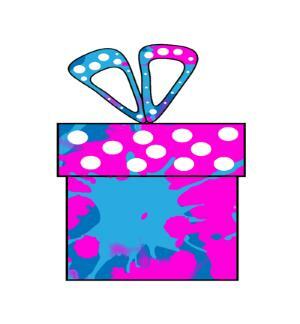 For children's parties I find it helps to have a 'quiet activity' you can do, as well as the normal noisy games. It is worth packing a few things just in case everyone needs to let their lunch settle! 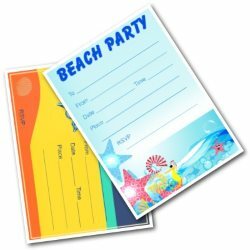 Pack some beach or pirate themed books for a read aloud. Take some paint and brushes, then do some rock painting. See who can build the highest stone tower, or find the smallest shell. Use the sand to draw out a naughts and crosses board - or to play hopscotch. Take a little notebook with you to remind you of any other games or activities you could try - and use it to keep track of what you need to take.